MACC Developments Ltd (MACCDL) is a wholly owned trading subsidiary of Machrihanish Airbase Community Company (MACC) and operates a former RAF Airbase on the west coast of Scotland as a business park for local, national and international businesses. The overarching aim is to deliver lasting economic and social benefit to the local community by taking advantage of the resources and potential which the site offers. 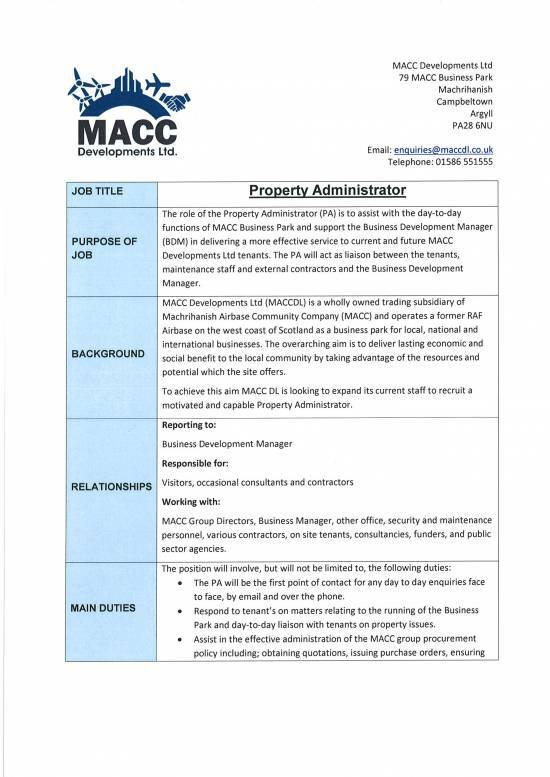 To achieve this aim MACC DL is looking to expand its current staff to recruit a motivated and capable Property Administrator. The role of the Property Administrator (PA) is to assist with the day-to-day functions of MACC Business Park and support the Business Development Manager (BDM) in delivering a more effective service to current and future MACC Developments Ltd tenants. 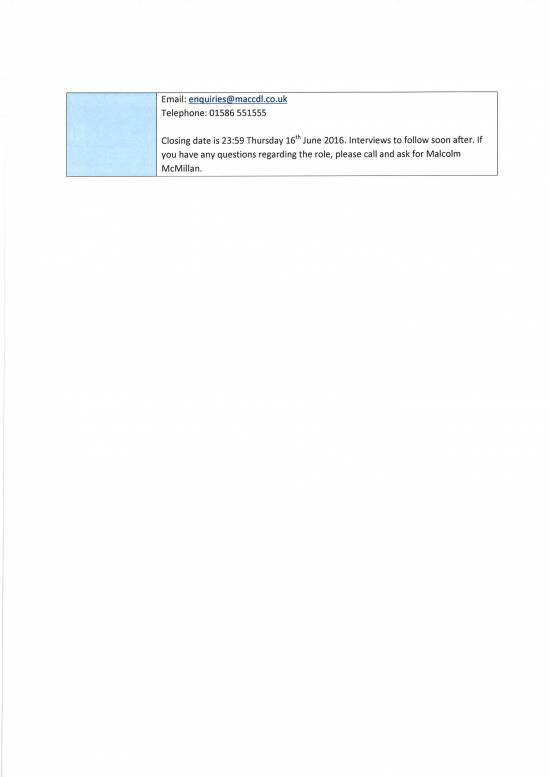 Closing date is 23:59 Thursday 16th June 2016. Interviews to follow soon after. 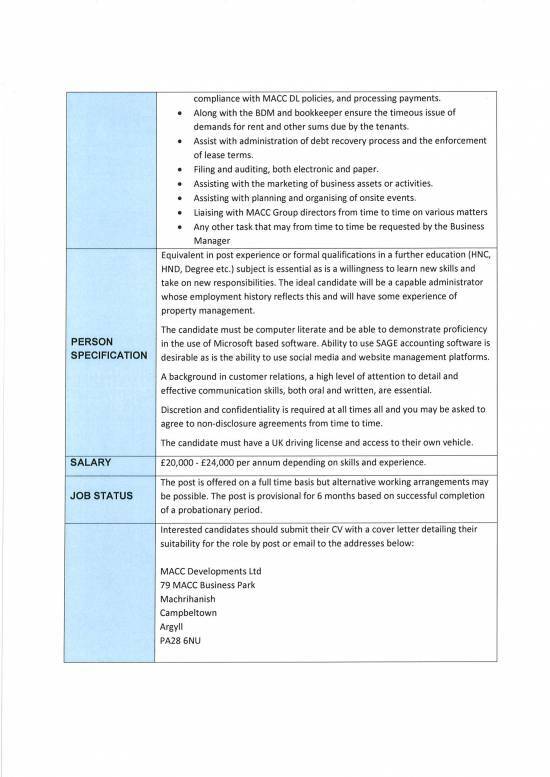 If you have any questions regarding the role, please call and ask for Malcolm McMillan.